Russia's hybrid military forces attacked Ukrainian army positions in Donbas 55 times in the past 24 hours, with three Ukrainian soldiers reported as wounded in action (WIA), according to the press service of the Anti-Terrorist Operation (ATO) Headquarters. The Donbas militants once again mounted a treacherous attack on one of the front-line villages. Unfortunately, there were casualties among the local population this time. "The shelling of villages and towns. At about 23:00 Kyiv time, the pro-Russian illegal armed groups shelled residential areas in the village of Sukha Balka in the direction of the temporarily occupied town of Horlivka. An artillery shell hit a house on Molodizhna Street, as a result of which a 52-year-old man died. Another three houses on the same street were damaged. Power lines and a gas pipe are broken in the village, and the water tower is out of service. The mercenaries reportedly used 152mm howitzer artillery systems. Damage from at least half a dozen deadly enemy shells has preliminarily been recorded in the residential areas," the report says. According to the ATO HQ, the enemy used 120mm mortars to shell the Ukrainian fortified positions near the village of Mykolaivka in the Mariupol sector. The Ukrainian positions near the village of Chermalyk came under fire from 122mm cannon artillery systems. The militants also used 82mm mortars near the town of Krasnohorivka. In addition, the Ukrainian defenders of the villages of Pavlopil, Talakivka, Vodiane, Lebedynske, Shyrokyne and Hnutove, and the town of Maryinka were attacked with grenade launchers of various modifications, heavy machine guns and other infantry weapons. In total, 23 enemy armed provocations were recorded in this sector in the last day. Read alsoUkraine's Donbas war toll in past day: 1 KIA, 7 WIA's amid over 50 attacksThe enemy violated the ceasefire 13 times in the Donetsk sector. After firing tank shells on the Ukrainian fortified positions near the village of Novoluhanske, the invaders became more active after dark. At first, they launched an intense attack from 120mm and 82mm mortars on the Ukrainian positions near the town of Avdiyivka. Somewhat later, the enemy heavily struck from 122mm artillery systems on the Ukrainian fortified positions near the village of Pisky. Furthermore, the Ukrainian soldiers near the villages of Opytne and Verkhniotoretske also came under mortar fire last night. 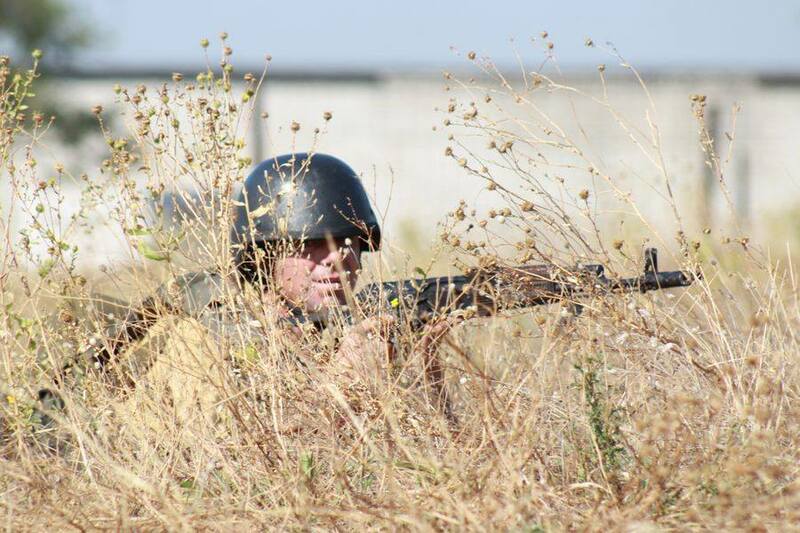 In addition, using grenade launchers and small arms of various calibers, the Russian occupation forces opened fire on the units of the Armed Forces of Ukraine near the villages of Maiorsk, Kamianka and Nevelske. The Luhansk sector saw 19 enemy attacks in the last 24 hours. The Russian-backed mercenaries fired 82mm and 120mm mortars on the Ukrainian positions near the villages of Katerynivka, Novo-Oleksandrivka and Triokhizbenka, and the village of Schastia. The Russian-terrorist gangs repeatedly opened fire on Ukrainian troops stationed near these settlements, as well as not far from the villages of Zhovte, Novotoshkivske, Krymske, Troyitske and Stanytsia Luhanska. They used grenade launchers and small arms of various calibers.